So on Sunday I had my first big Small Girls event. It was so much fun!! 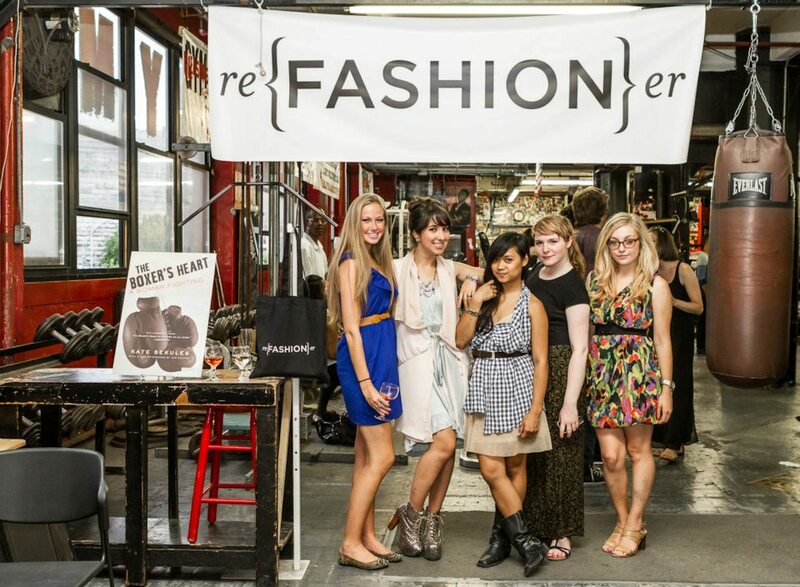 We have an amazing client, reFASHIONer who launched their new site on Monday so of course we had to throw a party. Along with the site launch, reFASHIONer's founder Kate published her book about being a professional woman's boxer. The theme of the party was boxing meets fashion. We had a boxing match in one ring and a fashion show in another. And music & alcohol all around. Of course. The weekend was full of hanging things in a dusty gym, exploring DUMBO and stuffing hundreds of gift bags. But it all paid off. The event was a huge success and we got some pretty fun pictures to prove it. Gotta love being a Small Girl.